New updates to the Forms Editor provide additional options for property managers and landlords to create and send customized documents. After only a couple weeks of announcing initial improvements to the Forms Editor feature, Rentec Direct users are finding new, creative uses for this powerful tool. Since it’s latest update, our development team has been hard at work to provide additional enhancements based on feedback from users just like you! The Forms Editor allows users to create templates that will be populated with information at a later time. You can use the Forms Editor to create a document with data fields that will automatically pull relevant tenant or property information and input them into the form for you to provide to your tenants. Thanks to your input we are happy to announce the addition of even more form functionality. 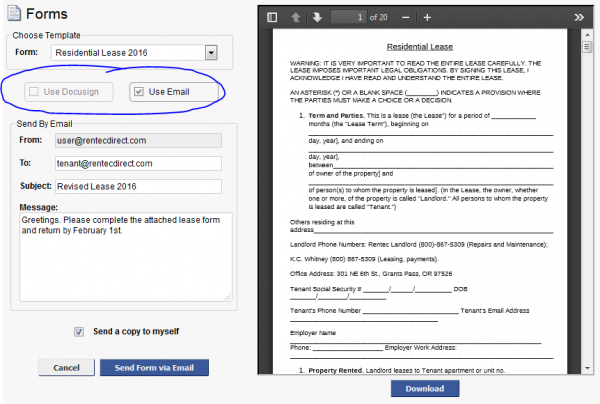 The former Leases page is now a generalized Forms page, allowing you to send any of your forms via DocuSign or Email. Owners now have a Forms option in their popup menu. A File Library option has been added to the Owner’s popup menu. Forms completed via the DocuSign system will be stored in the Owner’s or Tenant’s file library for later review. 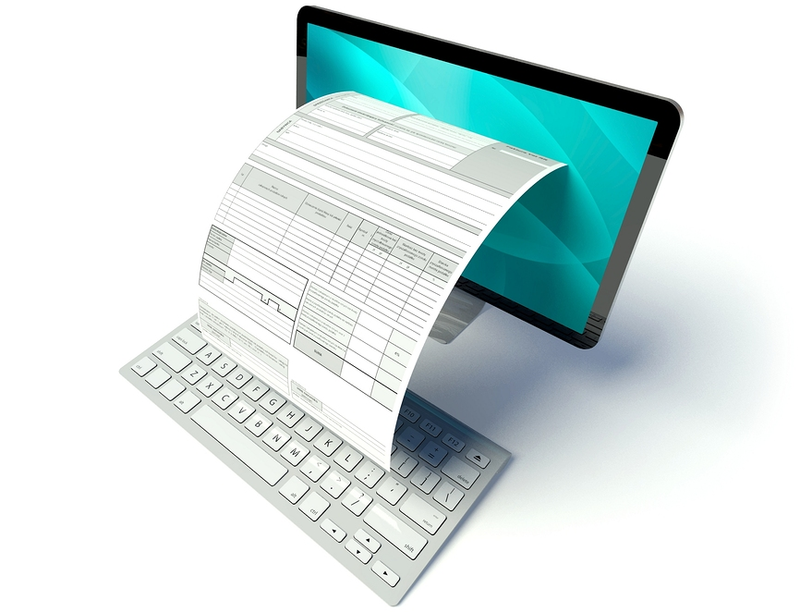 These Forms Editor updates are immediately available to all Pro and PM Rentec Direct clients . Thanks to the Rentec Direct users whose suggestions help us to improve the system and provide you the features you need! 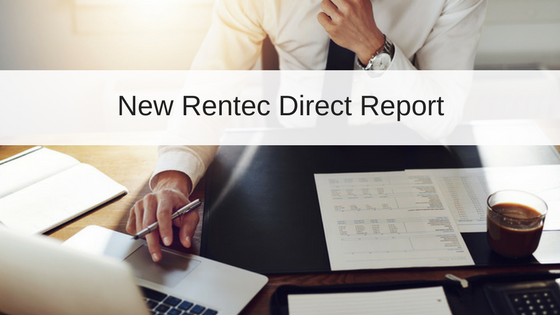 Want to start using the Forms Editor for your rental business but aren’t yet a Rentec Direct client? Sign up for your 30-day free trial today to access this and tons of other great features! 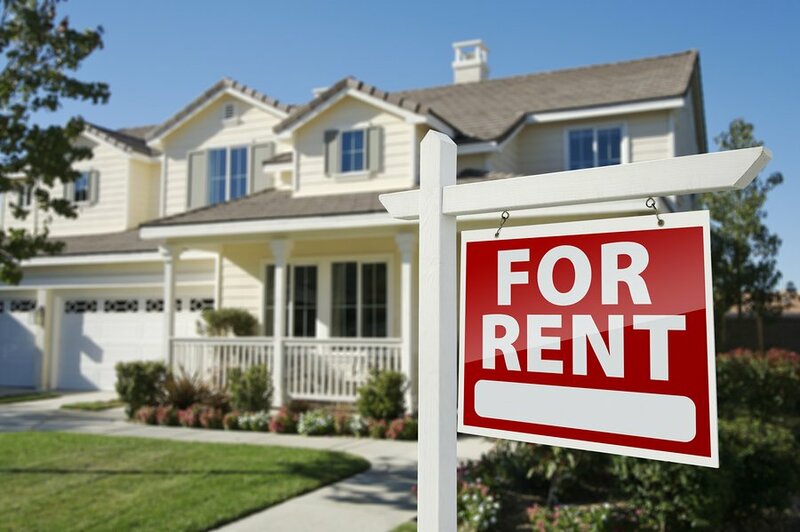 Previous2016 Rental Market Outlook – Renting Wins! I would love the option to add or insert a digital copy of my signature to a form that could then be printed. Great news, all the forms created in Rentec Direct can be linked with the integrated DocuSign tool to provide legally valid digital signatures on your important documents.